The Newton Wonder - What's going on in Newton St Cyres? What's going on in Newton St Cyres? 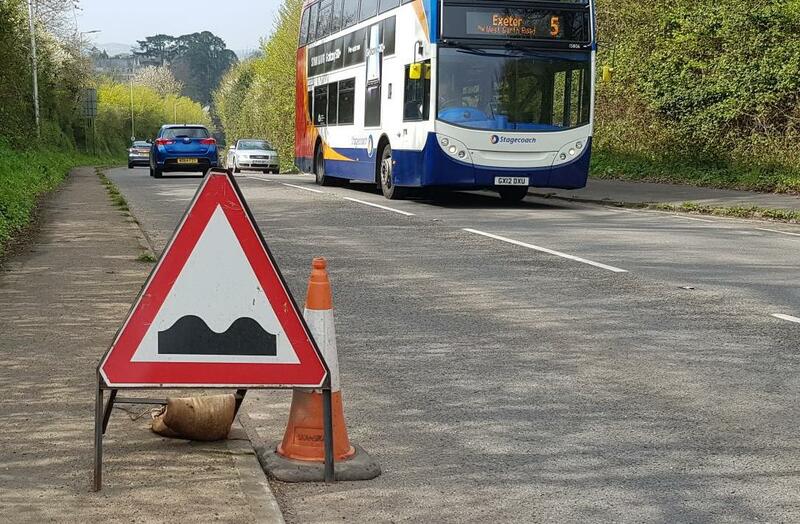 There’s good news ahead for motorists who have been suffering for months from the diabolical state of the A377 as it runs through Newton St Cyres. Unless there are unexpected problems, the Highways Department is to resurface the road in May. The plan is to do the work in two phases. ​Phase 1 will start on 1st May, when the whole of the road from Sandown Lane to Quicke’s Farm will be closed to traffic for seven nights from 7pm to 7am, thus avoiding the problem of days of disruption of traffic flows with stop-go lights. There will be no work on weekends or bank holidays. Phase 2, which will also mean closing the road, will start on 13th May at Newbridge Hill, in Half Moon. That work will go on for three nights. The Highways Department says it hopes to have the noisiest work finished by 11pm each night for those stretches of the road running close to homes. Diversions will be in place. Heavy goods vehicles will be directed along major roads, but local traffic will be able to use country roads. It’s thought the road had been due to be made good in the financial year that just closed, but the continued work on the laying of gas pipes delayed matters as regulations do not allow for two sets of temporary traffic lights within five miles of each other. Another issue has apparently been that the fact that the ruts in the A377 are not severe enough to meet the Highways Department’s definition of a pothole. Without that definition, repair work is not considered a priority. For motorists, the disappearance of the ruts and bumps will mean the end of the dangers of chicaning and bouncing down the A377 towards the village. Good news indeed. There are two plans to make the road safer in the village. First, It is being suggested that Newton will be the first village in the county to be equipped with average speed cameras. Where these have been deployed in Cornwall there has been a really significant reduction in the speed of vehicles. We have all seen that the average speed cameras on motorways are really effective. They will, apparently be clearly signed and drivers will have no way of escaping them. Lets hope that this makes the A377 safer for everyone. The second plan is for a traffic light controlled crossing for pedestrians in the centre of the village. The plans for the two alternatives currently suggested were available for all to see at the Parish Meeting on 4th. April. They are also available online by clicking here. It is important to note that these are preliminary plans and there will be a long period of consultation. If you would like to make your views known then you can do so via the Parish Council or by using the message tool below. If you do this we will publish your views on this website. 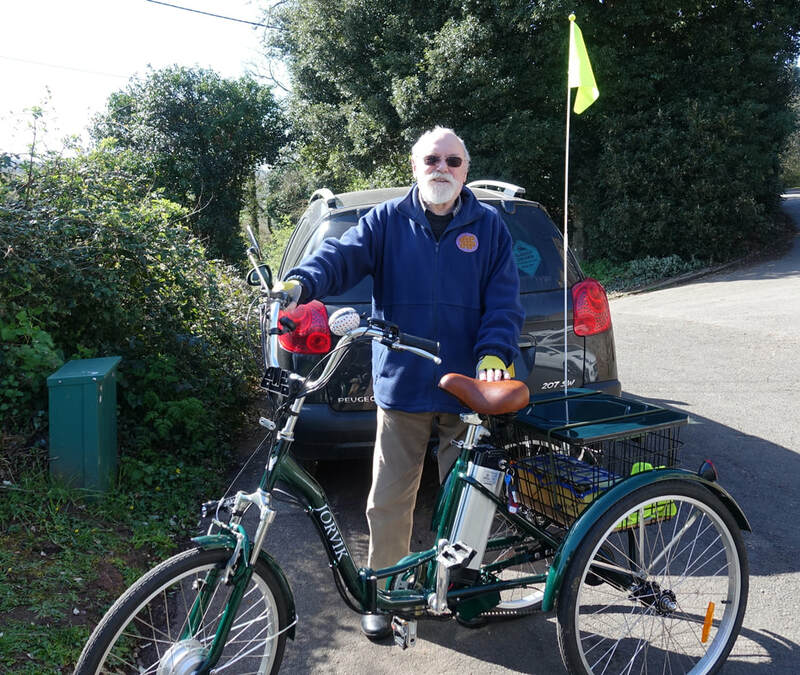 “Geoff’s new Viking assault trike.” Perhaps the answer! 1. WHEN was the picture taken? 3. WHO are the people in the picture? No 32 in April 2019 NW. The Newton Wonder is a community resource for all the community. That includes you! Let us know of your interests, concerns, stories, pictures and videos. We will attempt to include your content as soon as possible.